So you finally got a shiny new Oculus Rift and have already run through most of the launch content… so what now? Well rest easy because there is more fun out there to be had if you know where to look. For the longest time that Go-To place was Oculus Share but unfortunately not any longer. In its day, Share was the central repository for all of VR’s early tech demos and experiments. Sadly this past week, Oculus decided to pull the plug on Share and has taken the site down. Even though Oculus Share has now been put to rest, A lot of those older gems are still available for download on various VR sites. So you might be asking right about now, “How does any of this help me to get more content for my CV1”? Well, thanks to one awesome developer over on Reddit users can now go back and relive some of the classics by using the latest build of his LibOVRWrapper 1.2. So what is this Runtime Wrapper thing all about you might be asking? Well basically it is a set of files that allow for you to run some older demos that were built against the 0.6, 0.7, and 0.8 Runtimes. This opens up some of the classics that were so amazing during the early days of VR. I want to personally thank the developer, Kalavaras, for giving this gift to the VR community. I have had a blast seeing a few of my old favorites like Senza Peso and Doll City again in my new CV1. Once the file is downloaded open the directory you unzipped it to and locate the install_RunAsAdministrator.bat. Once located, right click and select run as administrator to allow the files to be installed to the needed directories. That’s it… Now just start to download demos and see what works. This will be a bit of trial and error. Currently this wrapper will not work on any demo or game that requires extended screen mode. The app or game must be built against 0.6, 0.7, or the 0.8 runtimes and working in direct mode. OK.. So now I have the runtime wrapper installed but where was it again you said we could get the content to use with it? Well one of the most complete sources I have found is over at WEARVR.com. This site has been around for a while and has established itself as an alternative platform for obtaining all sorts of VR experiences. WEARVR features both free and paid content for all systems represented. 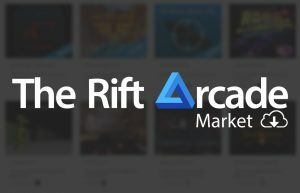 Another great repository for those older demo’s is theriftarcade.com. 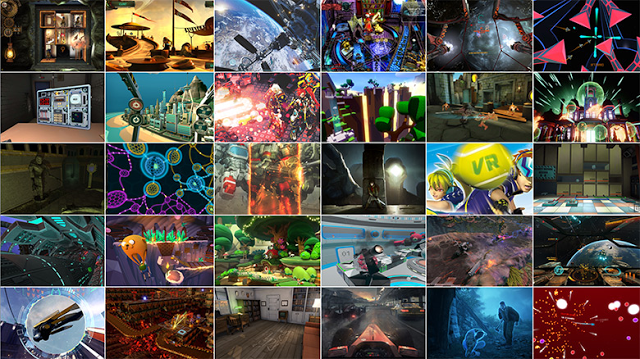 Again this site has been around for a while and hosts both paid and free content for the Oculus Rift DK2 and CV1. So I hope you found this article useful. I think it is great that a single developer took the time to make sure that some of the paramount VR experiences from back in the day could be seen once again by all of Virtual Realities newcomers. As VR moves forward I’m sure we will see a lot of new and very exciting content coming out, but there’s just something to be said for going back and re-visiting the classics! Let me know your thoughts on this subject and tell me about the older games and demos you have been able to run in the comments below. Excellent stuff, I have a lot of old demos from dk2 sitting in a folder. I almost deleted them but I have been hoping something like this would come along. I have 2 young daughters that will go crazy when they know they can go back to all those roller coaster demos, and it saves me a couple of quid not taking them to alton towers! Thanks, Don. Looking forward to checking it all out tonight. I was bummed to see Back to Dinosaur Island did not work after I downloaded it from Steam. Hoping this will do the trick. Haha! I got a minute to try it out. It worked, Don! Thanks. Can’t wait to try out all of this “vintage” VR stuff I’ve been watching you all play on YouTube. Have a good rest of the weekend. I tried this with Sightline, which before this program would only show a pulsating white screen. After the installation, it works perfectly on my screen, but my rift isn’t turning on anymore. I run Windows 10, so I don’t know if this is an issue or not. Huh? I’m also running Win 10 and have had no issues with this?